Two military veterans, both green card immigrants willing to die for their country, find themselves deported and are now fighting to be heard. 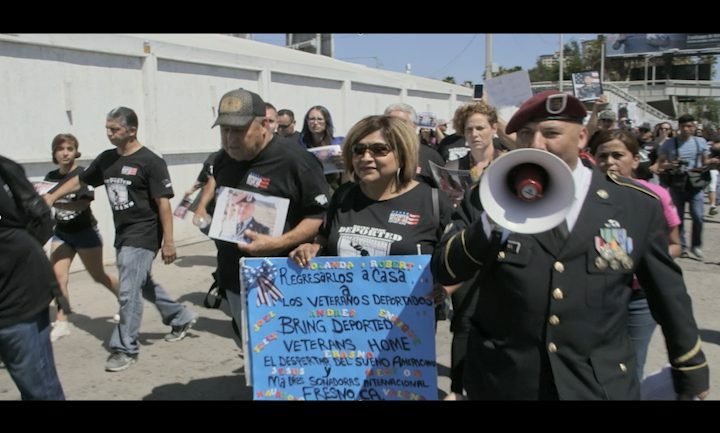 Stuck in Mexico, Army combat veteran Mauricio Hernandez struggles to find adequate treatment for his severe PTSD, while former paratrooper Hector Barajas fights to reunite with his daughter in Los Angeles, and raise awareness about deported veterans. This film is a persuasive and intimate look at the human consequences of current U.S. immigration policy. Filmmaker and experts scheduled to attend. Mike Seely has produced, directed, and photographed dozens of cross-cultural and international documentary projects. His work has been broadcast in the U.S. and screened at festivals worldwide including Slamdance, Tribeca, Toronto International Film Festival, and the San Francisco International Film Festival. His 2010 film “The Most Distant Places” about a rural hospital project in Ecuador is in distribution through New Day Films. As a freelance cinematographer and producer, he works with independent directors, non-profit, broadcast, and commercial clients such as National Geographic, MTV2, Frontline World, San Francisco Museum of Modern Art, Facebook, and Williams-Sonoma. Recent credits include: “Hard Earned” (prod. Kartemquin Films, Al Jazeera America broadcast 2015), “Code: Debugging the Gender Gap” (Tribeca 2015), and “Daughters of the Forest” (ITVS/PBS broadcast 2015). In 2005, he completed his MA in documentary film production at Stanford University, and for 2010 he received a Fulbright grant to work in Lodz, Poland on a project exploring the Polish documentary film tradition. 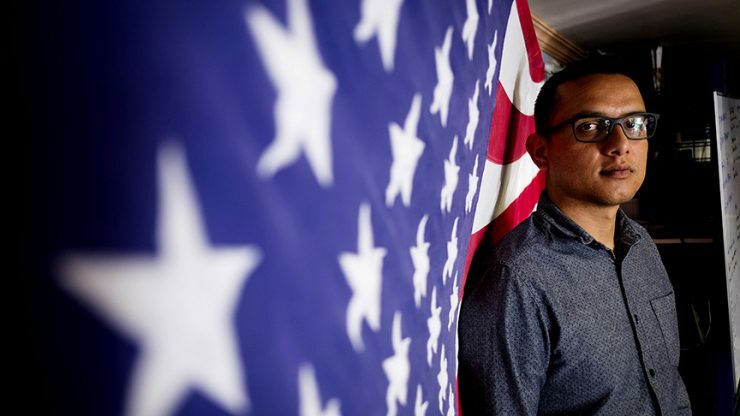 When he was 21, Daniel Torres was recruited to the Marines. 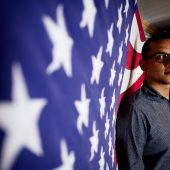 In order to enlist he had to lie: he said that he was American when he wasn't. After a seven months deployment in Afghanistan he volunteered for another tour in Iraq. But when the truth about his legal status came to light, he was discharged and became undocumented again. This is his personal story of he was able to get his U.S. citizenship on the basis of his military record.